The Interagency Working Group on Medical Imaging released a final report in December 2017. The report is a culmination of input from more than a dozen federal departments and agencies, industry, and academia. Editor's Note: Information on this page below was previously published and describes the preliminary goals developed by the working group. In the clinic, the early flutters of life are captured by ultrasound; an x-ray helps a doctor determine if a simple cast will take care of the ankle injury or whether an MRI scan is needed to detect a more intricate problem; and when positron emission tomography detects a tumor, interventional radiology may be prescribed. Behind the scenes, in laboratories across the country, medical imaging is being used by researchers to make discoveries about the activity of cells and the cellular apparatus. 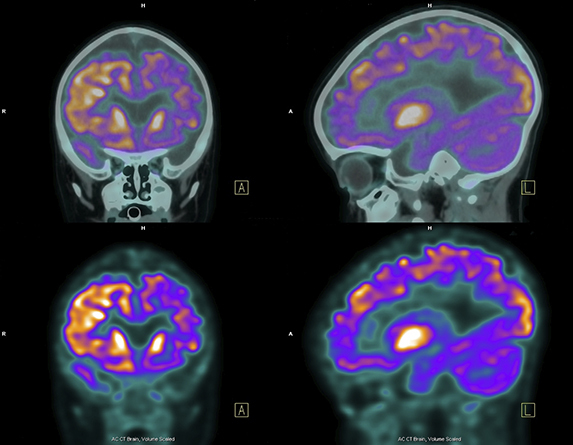 You might say that medical imaging, which has been an important part of health care for decades, is at a watershed moment—when modes of imaging, as well as complementary technologies, offer more possibilities for medical discovery and healthcare improvements than ever before. The President’s National Science and Technology Council established the Interagency Working Group on Medical Imaging in spring 2015 to craft a strategy to encompass opportunities and a vision for clinical and research use of medical-imaging technologies. Members from eight departments and agencies of the Federal government engaged with a broad community of medical-imaging stakeholders to consider the current practice and future possibilities for the field. In a Dec. 22, 2016 blog post on the White House website, NIBIB Director Roderic I. Pettigrew, Ph.D., M.D., and co-authors, presented the interagency working group’s roadmap for medical-imaging research and development. The authors present the overarching roadmap plotted by the working group, which has identified six goals for medical-imaging research, with an eye towards better health outcomes and value for patients. 6. Improve translation of new imaging technologies. Referring to the interagency working group’s theme of “advancing high-value medical imaging,” the authors describe the many facets of an advanced technology environment that will make it possible for even greater advances in medical-imaging. Stating that “medical imaging helps diagnose, treat, and understand a range of diseases and conditions, including cancer, cardiovascular disease, and neurodegenerative disorders,” they offer this current guidance on a coordinated approach to better health outcomes and scientific discovery.